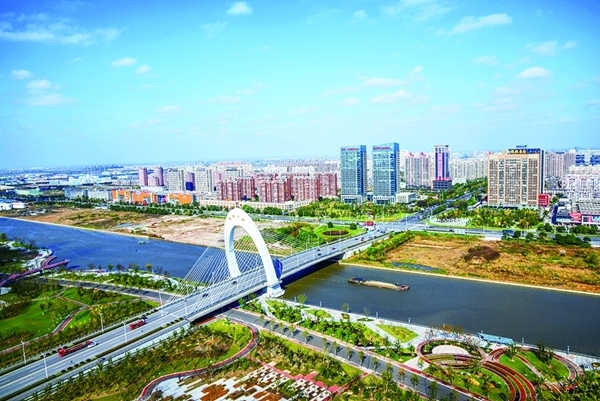 Nantong’s high-tech zone has made great efforts to fight against pollution over the past year. In 2018, the district made great achievements in water environment improvement, fume control in catering industry and hazardous waste monitoring. Heads of the related departments provided their suggestions on environmental pollution prevention and control at a meeting held on Jan 24. The meeting on the fight against pollution to promote high-quality development of the district, discussed how to tackle with black and odorous water as well as pollutions from construction sites and construction materials enterprises. “We wouldn’t be able to see such great achievements in pollution fighting without the support from all departments,” said Zhou Yuehua, director of the administrative committee of Nantong High-tech Zone. “This meeting is very conducive to helping solve problems efficiently,” he said. “The government will further define tasks and people in charge,” he added. Cao Jianxin, deputy head of Tongzhou district, fully affirmed the achievements made by Tongzhou in fighting pollution. Cao, who also presided over the meeting, urged all departments to gather strength to contribute more to the district’s high-quality development.